The natural colour of the flanged plastic caps allows visual verification of the threads or o-ring. FCM Series available in sizes to fit M5 through M33 metric threads. 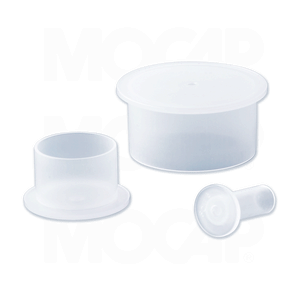 Many Sizes of Our Flanged Plastic Caps for Metric Threads are Stocked for Immediate Shipment.